Patti H. Bass is the founder and President of the law firm of Bass & Associates, P.C. where her practice has been concentrated in the field of creditor's rights in bankruptcy and collections. Patti received her J.D. from Emory University and her B.A. degree with high honors from the University of Tennessee. 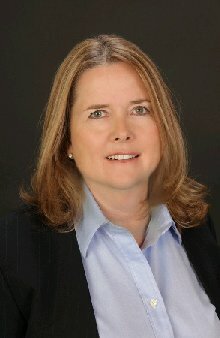 She is admitted to practice law in both the federal and state courts of the states of Georgia and Arizona, in addition to the Ninth and Eleventh Circuit Court of Appeals. She has served as an Adjunct Professor for Emory Law School - National Institute of Trial Advocacy (NITA), Association of Chapter Thirteen Trustees, National Association of Bankruptcy Trustees, Debt Buyers Association International, International Credit Association - District III President and Atlanta Chapter Board Member, National Association of Retail Collection Attorneys Past Vice President and Bankruptcy Chairman: Board of Directors, and past member of the Finance Committee, the Commercial Law League, and the Bankruptcy Section of the AZ State Bar Association. Patti has contributed to the annual Wiley Bankruptcy Law Update published by Aspen and is a frequent speaker at both trade meetings and continuing legal education seminars.